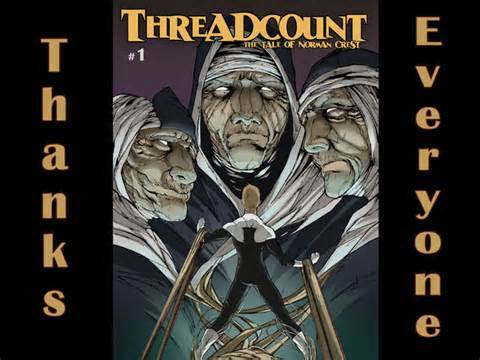 Threadcount is a comic I picked up from its creator at Motor City Con this year. Jay A. De Foy was actually set up right next to my table, so it was an easy comic for me to get ahold of! Threadcount: The Tale of Norman Crest is a very interesting comic about a guy with the super-power of thread! Does that sound ridiculous? Silly? Well…it could be, but it is handled very serious and straight-forward by Jay in this comic. Norman Crest is an adventurer and archeologist and lover of Greek Myth and culture. On one quest he encountered the Fates and they turned him into a living skein of thread. I am a great great big lover of Greek myth and I love this origin. It’s a new and clever way to use Greek gods and I always like the inclusion of Clotho, Lachesis and Atropos, the three aspects of Fate that control the tapestry of life. It’s the idea that these three know what is happening in the world and can use their powers to influence, sometimes subtly, the fates of mortals that makes them fascinating to me. In Norman’s case, his powers as a living skein include thread travel, which is like teleporting from one fabric to another, increased elasticity, and the ability to project balls of yarn. He can also control his clothing to make a disguise or a heroic costume. Jay notes in the introduction that the idea of these powers was to create a hero with power unlike any other. As I said earlier, this could have been done in a silly way, but instead it reads like someone who really does end up with such powers. Plus the Greek hero connection makes Norman take it seriously. Oh, and I don’t mean there’s no humor in the book, or related to his powers, I just mean that the powers aren’t there just to be made fun of. The book also introduces Norman’s intern Charlie Wild. She’s pretty much mad at Norman all the way through the book. Which probably means she’s his future love interest. That’s how it usually works, right? You can see Threadcount’s origin on Jay’s deviant art page. Jay has a lot of really good art posted on his pages. I didn’t mention it above, but the guy can really draw! I cannot discuss Michael Neno’s work without first mentioning Jack Kirby. Jack Kirby is the greatest comic book artist ever. There are a few that draw better than Kirby, and some that rank higher than Kirby on my list of favorites, but that doesn’t matter. No one, and I mean absolutely NO ONE, has had as much impact on comics and what they are today than Jack “King” Kirby. Kirby has been a great influence on artists and writers since he reached his peak popularity during his over 100 issues penciling and co-plotting the Fantastic Four. There are many artists today who draw inspiration from Kirby or outright emulate him. I will admit my own art is certainly influenced by Jack, and if mine work doesn’t look like Kirby’s it is because I don’t do a good enough job copying him. Michael Neno is one of those artists whose work derives heavily from the King. I do not classify Mike as someone who copies Kirby, but rather someone who does a great job channeling Kirby. But enough of that. On to the review! 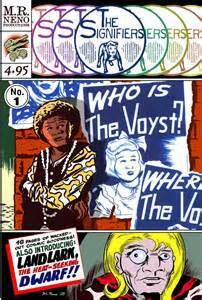 The Signifiers is another comic I picked up at a recent convention. It is entirely conceived and crafter by Michael Neno. It looks great! The ink work really catches your eye and the back-and-white printing helps this comic look very mysterious and far-out. Many of the characters are humanoid animals, and they are incredibly visually striking! The stand-out character is the dog with the human face. Or is it a human with a dog body? Which bring me to the story, which I can best describe as far-out! The world of the signifiers is dark, creepy, and fantastic. There’s some type of psychic energy all around and factions feuding over territory and power. Or at least that’s the impression I get. There’s a lot of mystery and the big question of what the “Voyst” is. There are lines like “Cosmic consciousness in its most essential form emanates from the Voyst” which sounds very freaky but also like something Kirby would write. Michael has lots of examples of his work on his website, so check out his work! It’s old-school greatness!! ﻿﻿﻿﻿﻿﻿﻿﻿﻿﻿﻿﻿﻿﻿﻿﻿﻿﻿﻿﻿And these sketches were created in similar ways, as something to help keep me fresh when I ad some spare time. I hope the respective creators enjoy my little tributes! The Lone Ranger and Shazam! 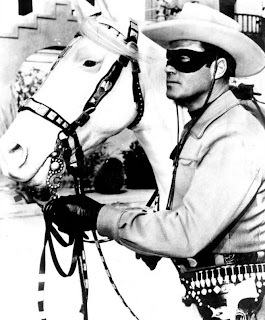 Like many people, I am not running out to see the new Lone Ranger movie. It isn’t that I don’t like the character or concept of the Lone Ranger. I have fond memories of watching the Lone Ranger television series that starred Clayton Moore. (In syndication, I’m not THAT old!) I’m also sure I saw some cartoon shows and comics back in my youth. The Lone Ranger is the sole survivor of a group of Texas Rangers who dons a mask to fight evil and inspire good in a fictionalized old west. Given that “Cowboys vs Indians” is such a typical plot of western shows, I really liked that the Lone Ranger had an Indian ally in his companion Tonto. Pretty much all of these things that make the Lone Ranger a good character are absent in the new Disney movie version. 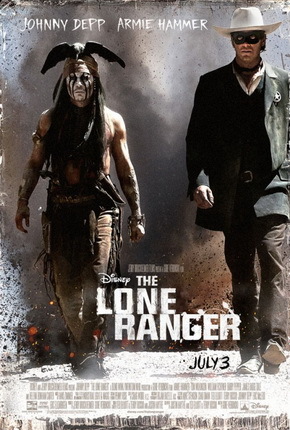 The Lone Ranger is a wimp who needs an insane-acting Tonto to convince him to become a hero. It’s not that changes can’t be made to a character or that a concept can’t be rebooted. But in this case, they have taken all the good aspects of the concept and thrown them out, leaving us with characters that no longer have any resemblance to the original idea. And you would think when doing a new version of a classic character you would consider first making sure to keep the reason the character still warrants interest after all this time. As a contrast to the above, and to prove that I don’t hate all reboots I present to you DC Comics’ new version of Shazam! Shazam is another character I first saw on television, in a low-budget Saturday morning TV show. The basic concept of Shazam is that a young boy named Billy Batson is granted powers by a good wizard. 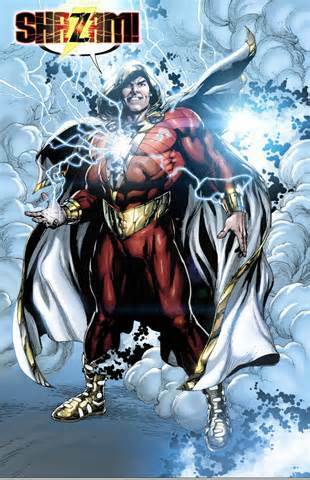 By speaking the magic word “Shazam”, Billy transforms into the adult super-hero Captain Marvel. Long ago, the character was bought by DC Comics, and Marvel Comics ending up getting legally involved to stop DC from producing a comic with the name “Marvel” on the cover. It doesn’t seem like DC has ever really figured out what to do with the character, however. There have been many versions and reboots over the years. The latest reboot is by writer Geoff Johns and artist Gary Frank. And I’m really, really enjoying the heck out of it! In this version Billy is an orphaned boy with a bad attitude who turns out to be a good, though somewhat rough and cynical, kid. They dropped the “Captain Marvel” name this time, but kept the key concept: a kid who turns into an adult super-hero. The supporting character are excellent, and events promise plenty of exciting future stories. Geoff’s writing on this series is some of his best I’ve ever read, and Gary’s art is his best I’ve ever seen! The series so far should be out soon as a trade paperback and I’d recommend picking it up. And I’d recommend watching the Lone Ranger. Not the new movie. But the classic TV series. You should be able to find it on DVD! I picked up the trade paperback collection of the Star Trek: TNG series “Hive” from artist Joe Corroney at a local signing event. Star Trek comics are currently being published by IDW, a company that has a lot of works from licensed properties in addition to some great original comics. 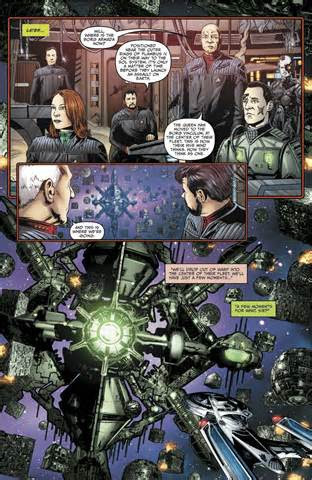 Hive tells a story that I’d say seems to be the ultimate confrontation with and conclusion to the Borg, a species of androids that have been a nemesis in the Next Generation continuity for a long time. The Borg is a species of automatons that assimilate other species. So they turn other species into Borg. The Borg have no emotions and don’t do anything except try to assimilate more species. They are apparently controlled by a leader but are otherwise not supposed to think independently. One of the hooks of any Borg story is that Jean-Luc Picard, the captain of the star Ship Enterprise, was once assimilated but somehow escaped (I don’t remember how). So Jean-Luc has a unique perspective when dealing with the Borg. The Hive story takes us forward in time to a time when the Borg have won and Jean-Luc works with the Borg queen, then back to a time that I think is shortly after the last of the Next Generation movies (I never did see the last one). The story, written by Brannon Braga, has some great twists, so I don’t want to spoil anything by going into great detail. I will say the comic is well written, and I never felt like I was lost despite not being a full-fledged Trek Geek. I liked the characterizations in the story, and I thought Jean-Luc was spot on. This is very important to me, because the main reason I watched TNG on TV was the incredible job Patrick Stewart did in the role! 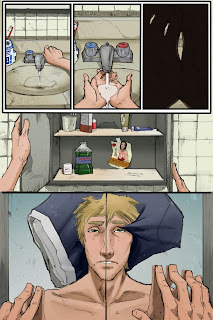 The art did a wonderful job telling the story. With something that can be effects-heavy like any sci-fi, it can be difficult to show the action sequences well. Joe does well by combining big panels with lots of stuff going on in them and pages with lots of smaller panels to show intense action sequences. My only slight criticism with the art is something I’ve seen in many other books that involve likenesses of actors. That is, sometimes the characters’ faces do not seem very expressive. I think this is because an artist is trying so hard to keep the characters on model, and the more extreme the expression the less the characters seem to look on model. Anyway, that’s a very minor quibble in an otherwise excellent book. Anyway, I’d recommend this book to anyone who’s seen at least a little Trek in their lives. If you haven’t seen any Trek, you should watch some Patrick Stewart Trek episodes or movies, then read this book. You’ll like it, I’m sure!